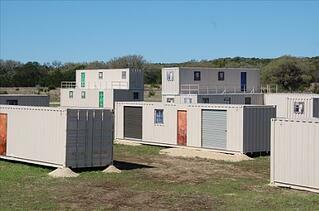 Rapidly deployable, temporary shelters, training facilities, and barricades for government applications. Forgo the time, hassle, and resources typically spent building temporary military housing or training facilities by opting for a shipping container solution. We can manufacture and deliver cost-effective, modified shipping containers to your destination in a fraction of the time. Falcon Structures has worked extensively with various branches of the military and government agencies to meet specialized needs while controlling costs. 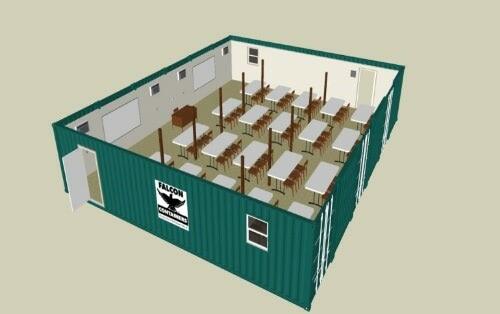 Falcon Structures has collaborated with several branches of the military to create a variety of training environments, AAR packages, and other applications with repurposed shipping containers. Learn more about Falcon’s military and government expertise and capabilities here. Constructed of heavy-duty steel and easy to deploy, repurposed shipping containers provide a sturdy, cost-effective alternative to MILCON. Multiple, relocatable configurations are available. Enhance mock, in-theater environments with durable and sustainable facades. 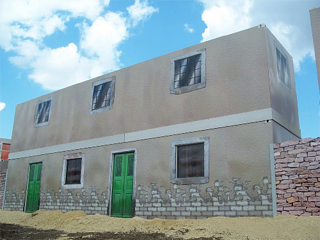 Our plaster and veneer based facades provide a realistic look in training environments. 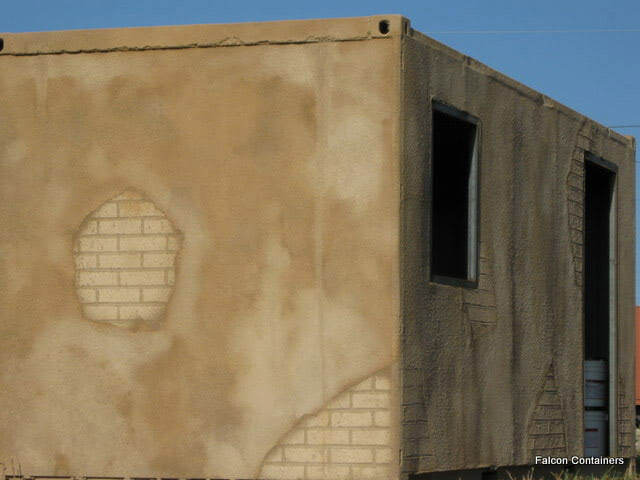 Learn how Falcon helped the U.S. Air Force save time and money by creating a durable, realistic, reconfigurable, military training environment focused on combating IEDs (improvised explosive devices).